You can find Willie's BBQ at your nearest Farmer's Market or other exciting events throughout Iowa. 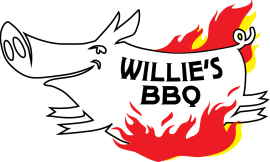 If you want to know where Willie's BBQ will be next, follow us on Facebook and Twitter for updates. Let the world know how much you love Willie's BBQ on Yelp!